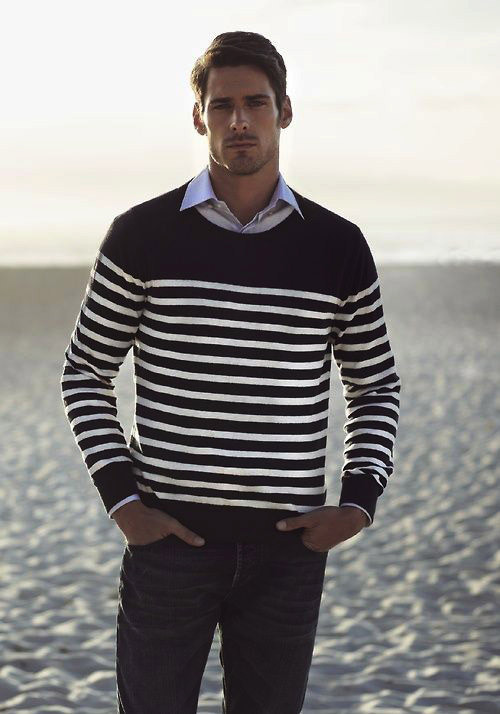 For many years, it has been said that you shouldn’t wear horizontal stripes unless you want to look fatter. 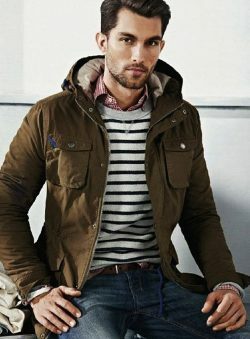 Turns out, there have been new studies that have disproved this theory. 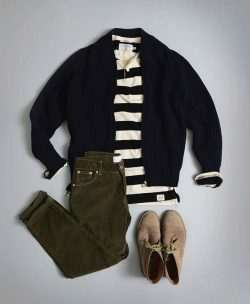 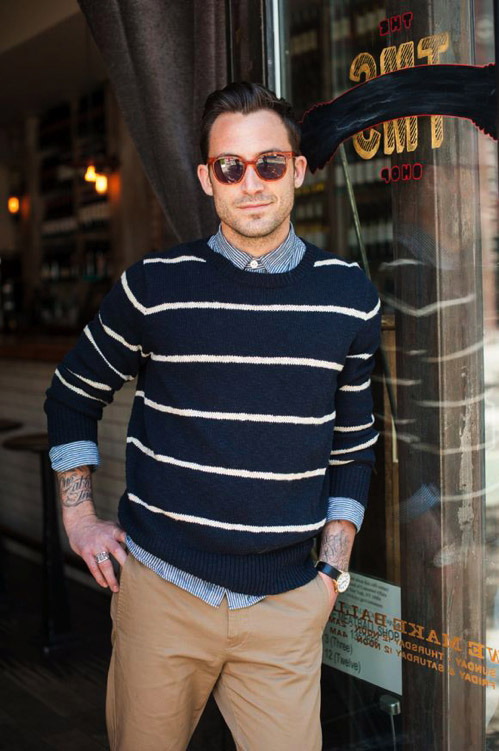 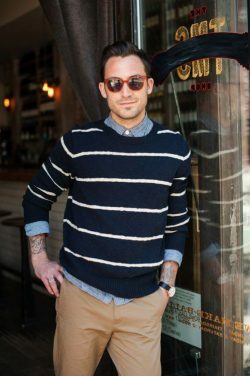 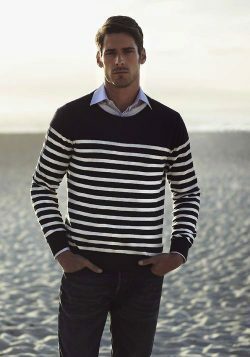 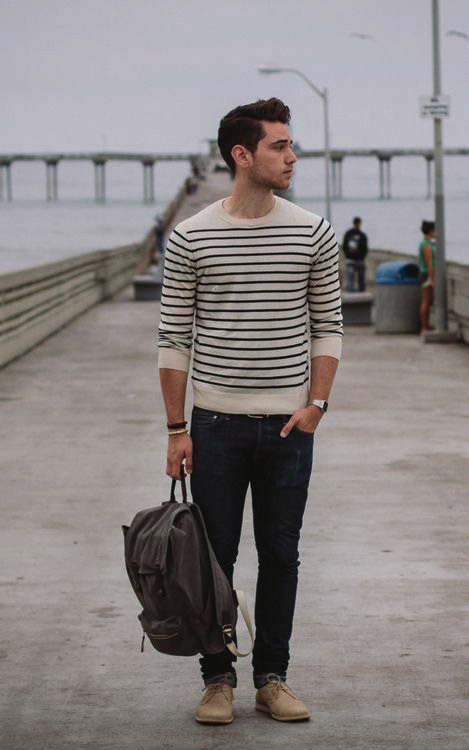 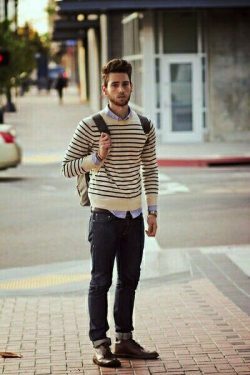 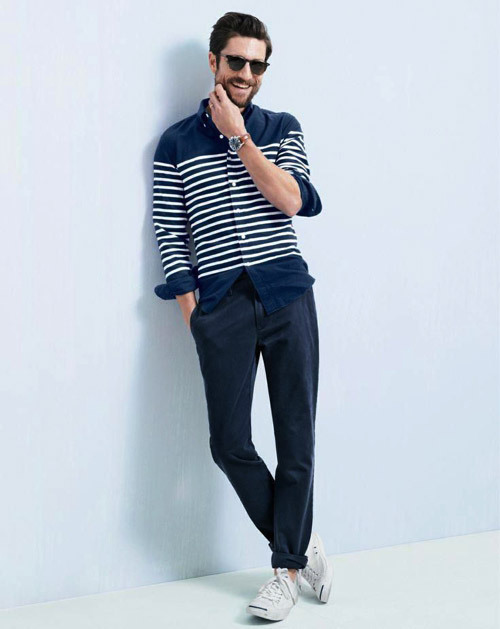 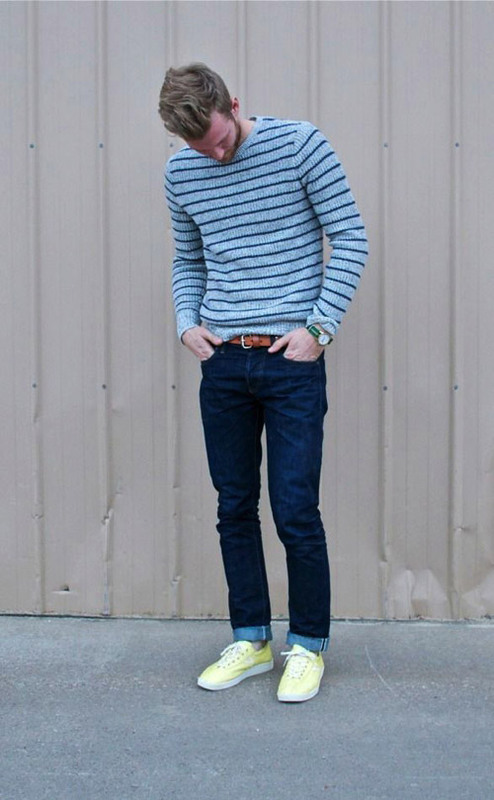 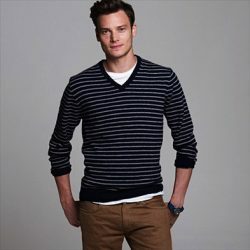 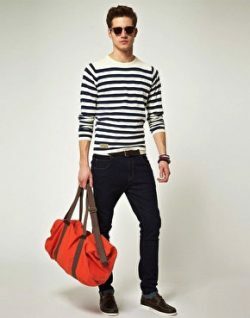 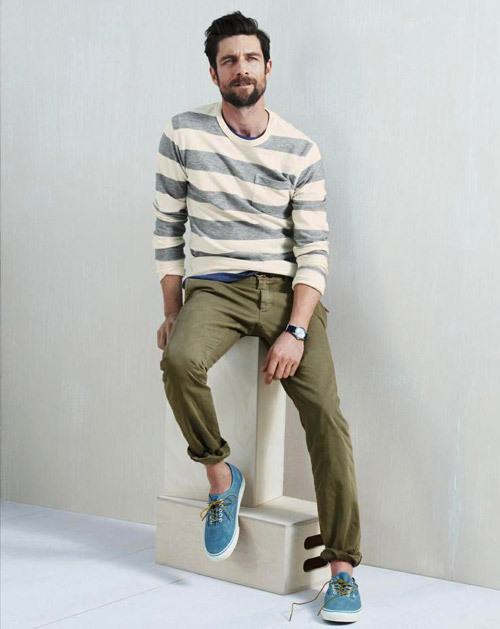 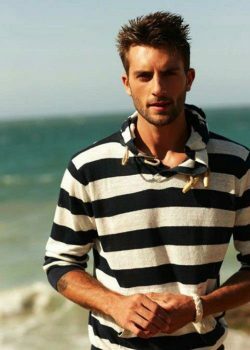 If you want to wear horizontal stripes, you can start with a classic navy and white striped sweater. 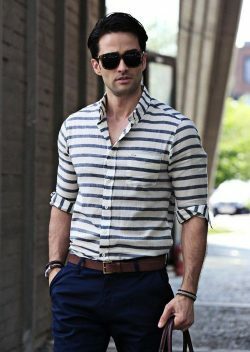 You can wear it with navy or khaki chinos. 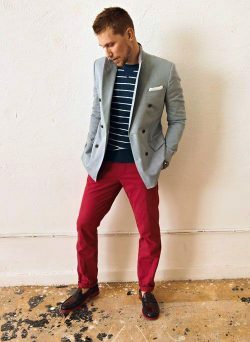 Feeling a little more bold? 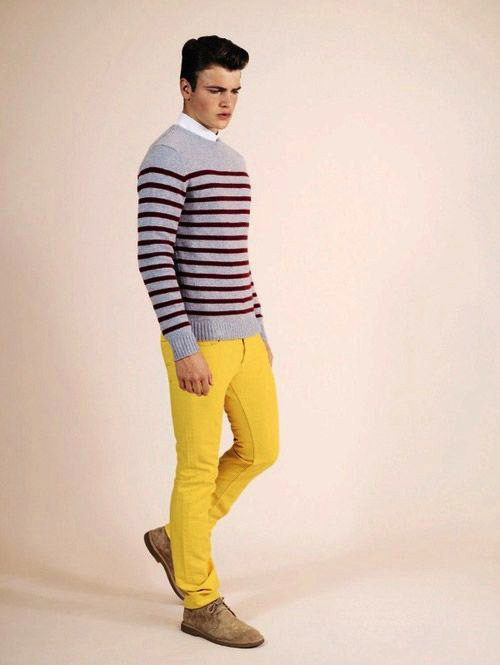 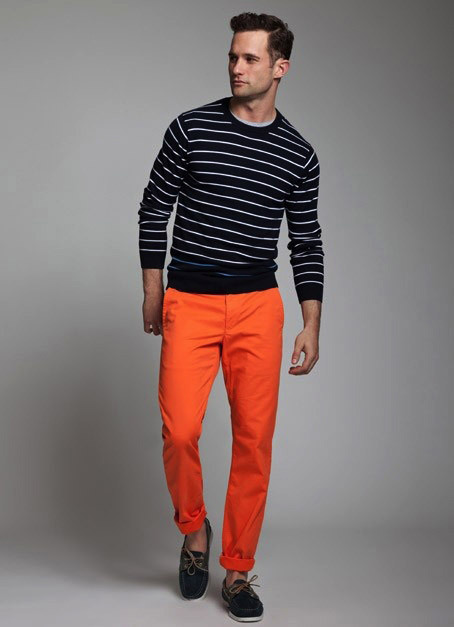 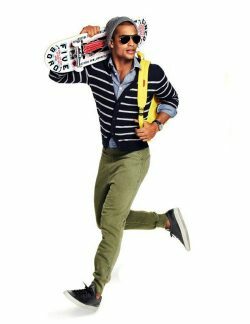 Pair it with your favorite bright pair of red or orange colored pants. 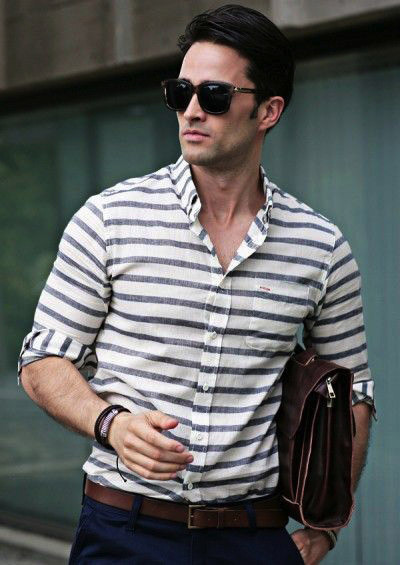 You can also wear a horizontal stripe shirt, but we prefer to wear them in a casual setting. 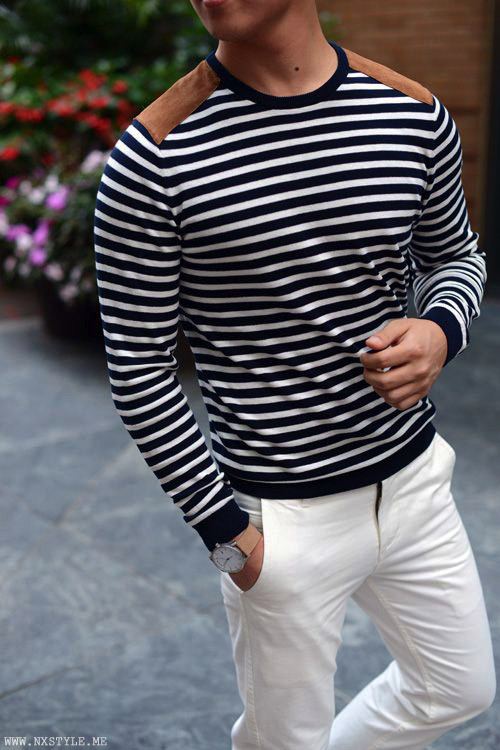 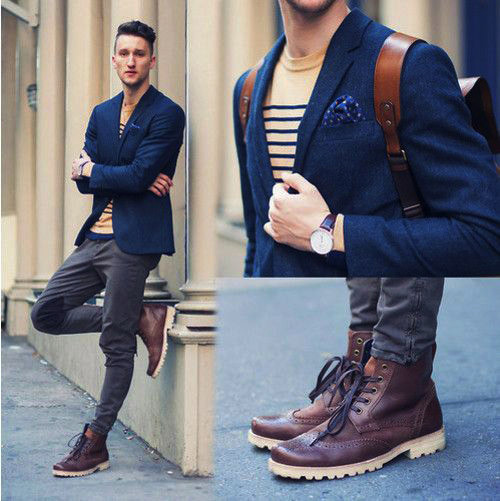 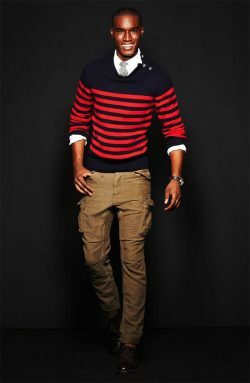 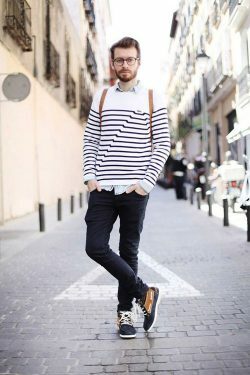 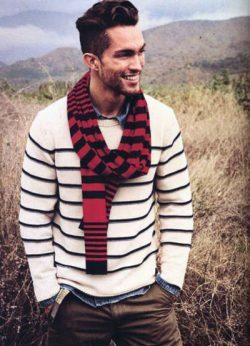 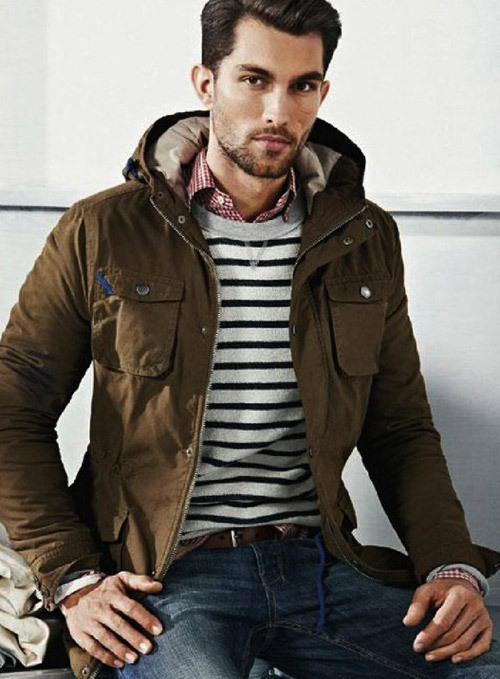 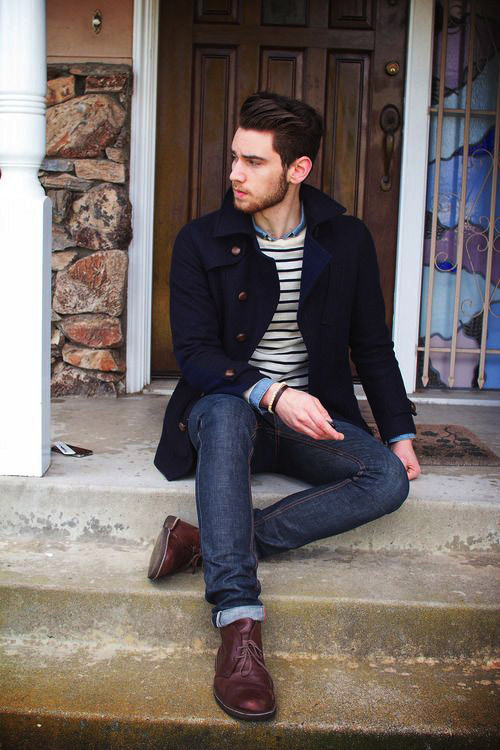 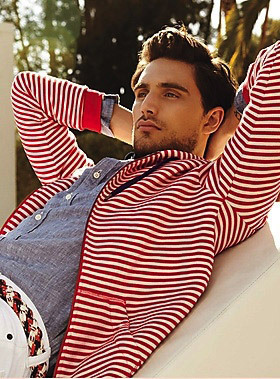 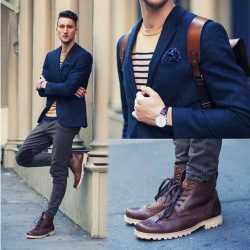 If you need some inspiration, check out our collection of horizontal stripe outfits for men.